One of the best graphic novels of any Bat-man fan has been made into a highly anticipated animated film. Fans of the book were even more excited to hear it was given an 'R' rating. All the ingredients are there for this long awaited adaptation to be epic. Add the voice over work of Kevin Conroy as Batman and Mark Hamill as The Joker and you've got yourself another classic, right? Wrong. The Killing Joke not only fails to honor one of Alan Moore's best works but goes completely off the rails from the opening scene.To give the story some credit, when Barbara Gordon is home when The Joker pays her a visit is never really explained in the book. This film spends a lot of time explaining what would lead to her being home having cocoa with Jim Gordon. That is probably the closest thing you will get of a spoiler for the film in this review. That's not really spoiling anything, especially if you read the book. 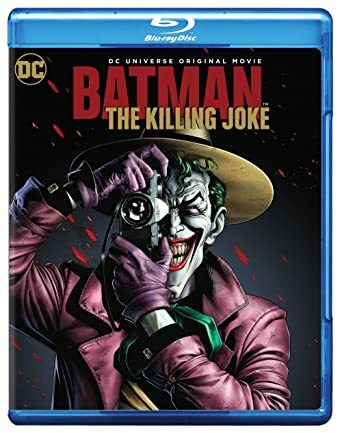 By the time The Joker makes his debut, you have already read that book, and nothing is really done outside of a few action sequences to make the film worthwhile. Hamill is the voice of The Joker, so having him play the "Clown Prince of Crime" is always a treat. Conroy's voice performance seemed a little phoned-in, especially when the scene begins that marks the beginning of the book. Sit through it if you feel like you have to, but you would be better off re-reading the book.